The sound of the inimitable MS-20 is now available to all with the new MS-20 Mini. The same engineers who developed the original MS-20 have perfectly reproduced its circuitry and fit it into a body 86% of the original size. 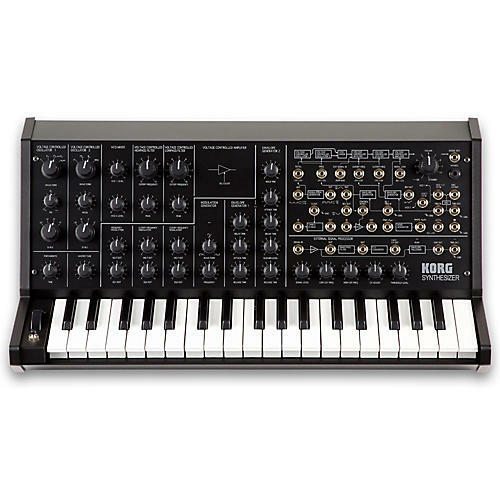 The MS-20 mini will amaze with its absolutely authentic, analog synth sound. The MS-20 distinguished itself at its debut through its gripping lead tones, its fat and juicy basses, and its its warm strings and pads. It was a two oscillator synth with two VCFs. two VCAs. sample and hold, a noise generator and many other tweakable components. The entire array has been designed by the fussiest design team imaginable--the same people who made the MS-20 in the first place. If you are a fan of analog synthesis in general and of the MS-20 in particular, this is a synth you need to check out.